Hellfire Race village nestled in amongst the hills of Kellevie. The Hellfire Cup is a four day, eight stage, XC race located in a small rural county called Kellevie. This is in the southern part of Tasmania roughly and hour and a half out from Hobart. 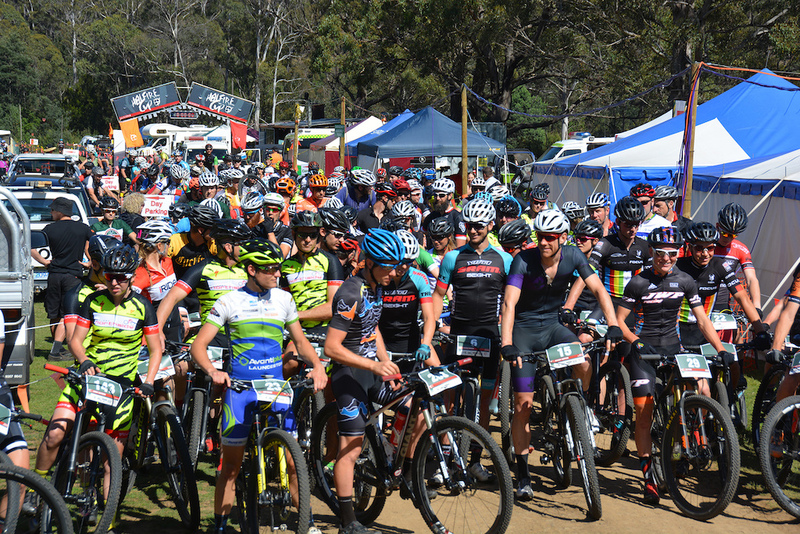 2015 marks its third edition, with some of Australia’s top elite cross country riders battling it out for some big prize money. 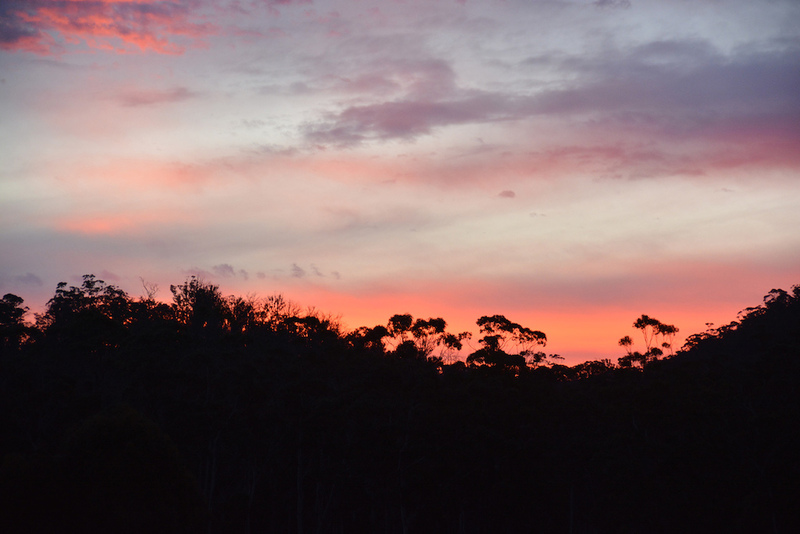 Tucked away behind some farms it showcases some of Tassie’s more beautiful scenery. Hellfire is the brainchild of local Duncan Giblin and his partner Sarah Kennedy, both passionate riders for many years who felt there was a gap in the market for stage racing and decided to create their own. Hellfire mixes big climbs and fast techy singletrack with party vibes, with a relaxed atmosphere to have a beer in after the race too. Camp for the duration and listen to a band or two if that takes your fancy. Tassie locals and defending champs, Tom Goddard and Scotty Bowden would have their work cut out for them this weekend. 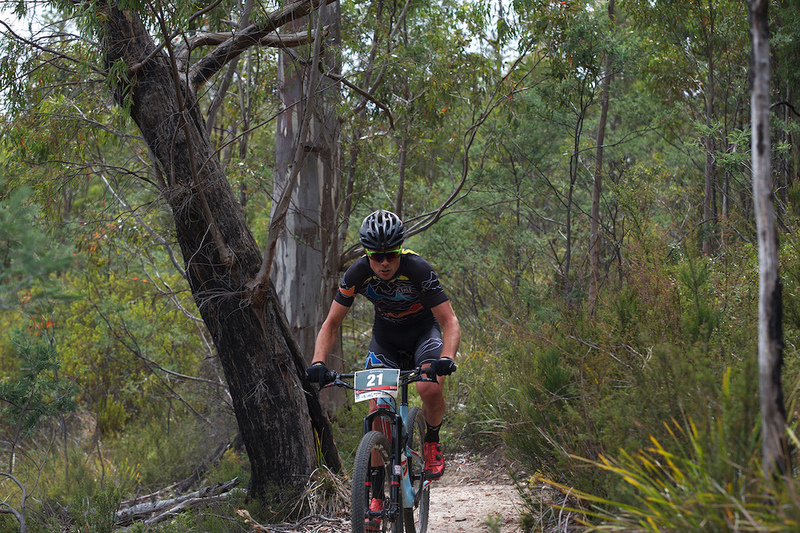 Canberra native Alan Vogt came across the straight to get some Tassie singletrack love. 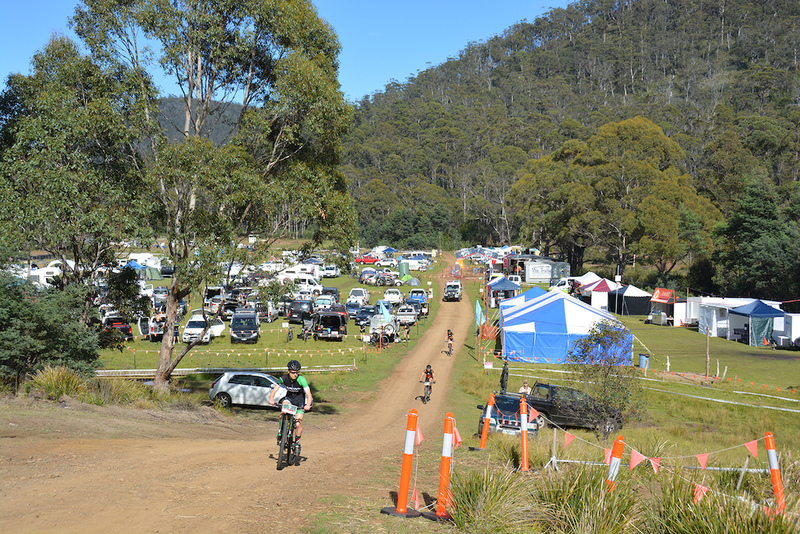 Joining the many elite riders are locals and ‘mainlanders’; what people who live on the big part of Australia are referred too, which means there is also an awareness throughout the field that everyone is there to have a good race. 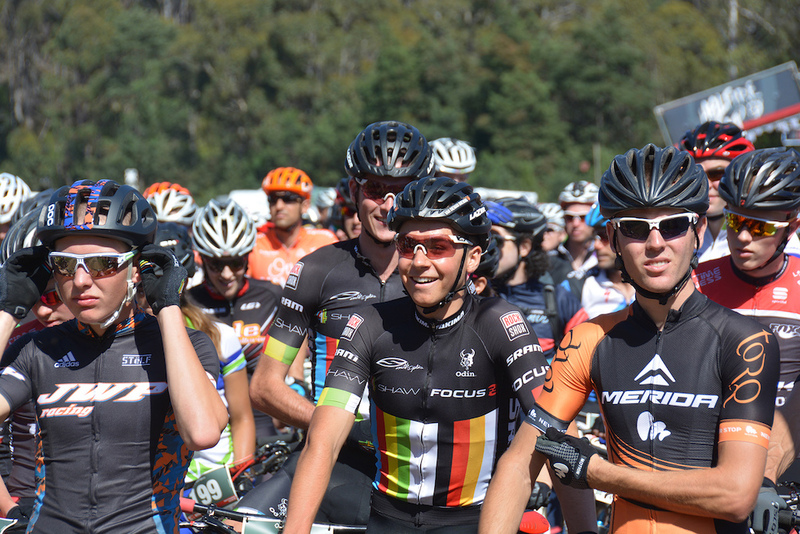 It’s a great opportunity for novice riders to rub shoulders (or tyres) with the pros. Riders lining up for the start of Stage 1, Peta Mullens giving some handy advice on Garmin settings. There are a few options to race Hellfire. You can choose to race ‘Lone Wolf’ and do the whole thing solo or race in pairs, mixed or otherwise. 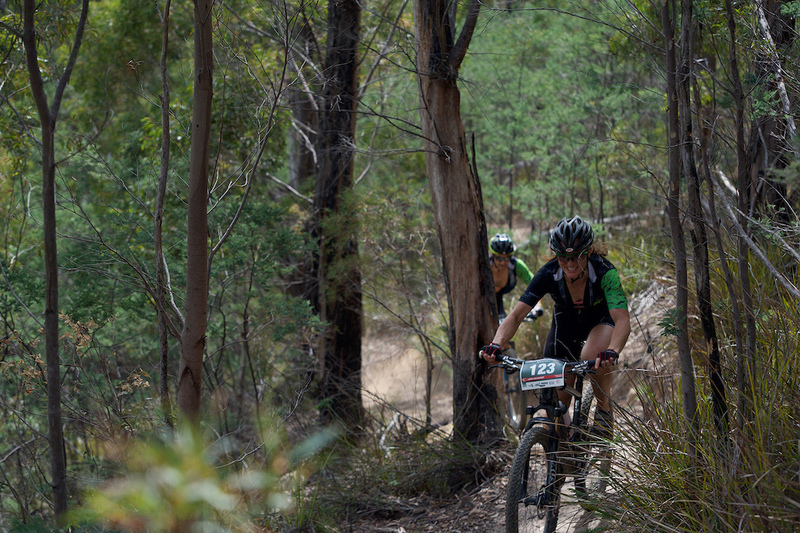 Racing in pairs makes for real camaraderie, whether the mood be good or bad you’re definitely in it together, as some stages, where both riders are on course together, require you to finish within sight of each other. Lone wolfer Andrew Turnock proving that it doesn't take two to tango. I managed to rope in Therese Rhodes to come across from Adelaide to ride with me. 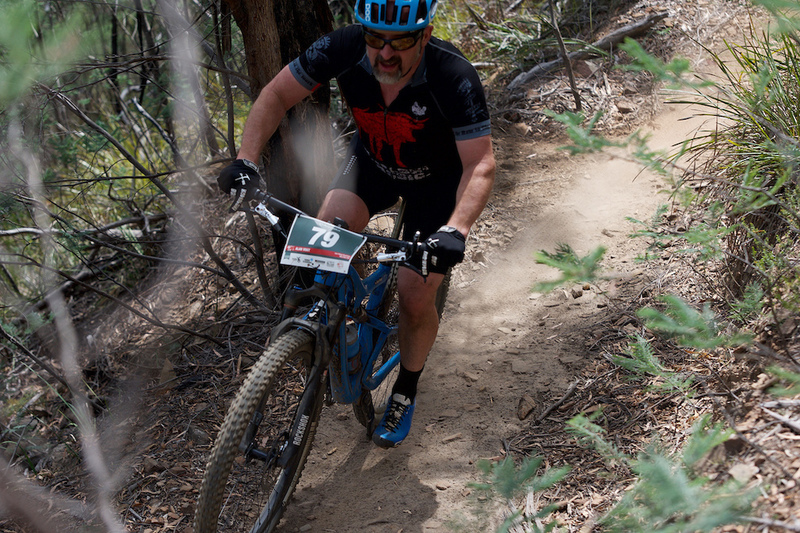 We would be racing against a field that included multiple National XCO and Marathon Champions. Terri was recently selected to compete at Cyclocross Worlds next year, and her coming across would be a fun way to catch up given we were close training buddies back in South Australia. And by fun, I mean me suffering A LOT and Terri soft-pedaling being the most patient human ever. As it turns out riding mainly enduro for the last few months meant there was a distinct lack of cross country style fitness. Perfect, delightful even. After a riders briefing, there was a mass start. Stage One would be a 25km loop around the race village. Some fast singletrack took the pack through to some of the longer fire road climbs. Hellfire gives you challenges in spades, but that is what makes it so enjoyable too. 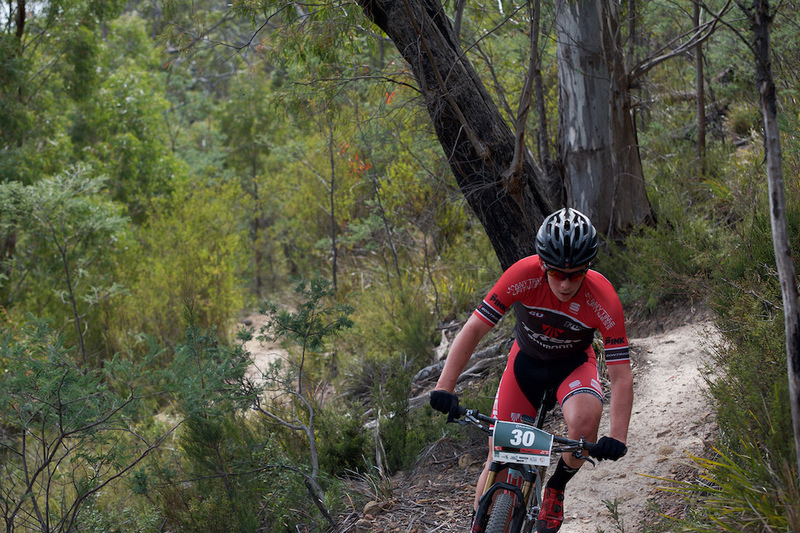 Vets rider Laura McCaughey putting in some power. If you want to get a really fast assessment of how little fitness you have in the bank, take a wander up the first long climb of stage one. It's just steep enough to make you feel like you’re getting nowhere and dead enough to ensure you can’t get a rhythm. Well, that’s what it felt like for me anyway. I’m sure the front of the pack looked like a flock of effortless gazelles up there. The reward for the climb was worthy. There were some fast fire roads to blast down and a long swooping single track descent. Even passing us through some patches of temperate rainforest where the canopy enveloped you. I was informed my by trusty partner that at the top of the climbs there were amazing views of the ocean to be had. Looking at my stem was just fine by me at this point. Rolling back into the village to music, just past the Ironhouse Brewery bar and over the finish line, stage one was done and dusted. Tom Goddard and Scott Bowden crossing the line in 3rd place. Michael Potter had some pace off the finish line, and held onto 5th in the Elite Male pairs. The pointy end of the field in all categories was hotly contested with Karen Hill and Jenny King clear winners with a 3:30minute advantage over the 2nd and 3rd place pairs. In the men’s field, defending champs Tom Goddard and Scott Bowden had to be content behind some blistering pace from Team Tuwardski (Mark Tupalski and Kyle Ward) and Torq riders Tasman Nakervis and Chris Hamilton. 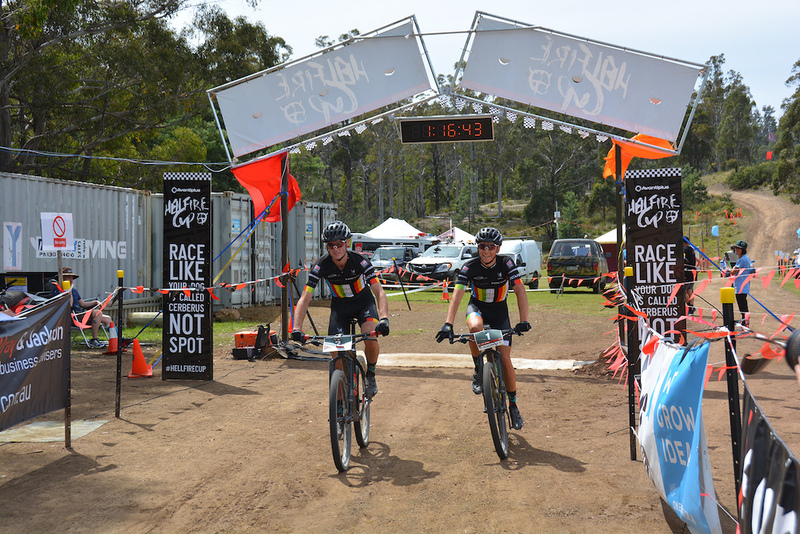 The mixed pairs and arguably the most competitive category this year saw young guns Holly Harris and Tristan Ward finish on equal time (awarded after a wrong turn) with Team Swiss Kiwi. Stage 2 – Rodeo Style! Just in case you had anything left in the tank after the morning, Duncan and his evil cronies had another stage planned for the afternoon of day one. Stage Two was rodeo style, where teams would swap off laps to do a total of four around a 6.5km course. The ‘Lone Wolves’ had the pleasure of completing the four laps all by themselves. 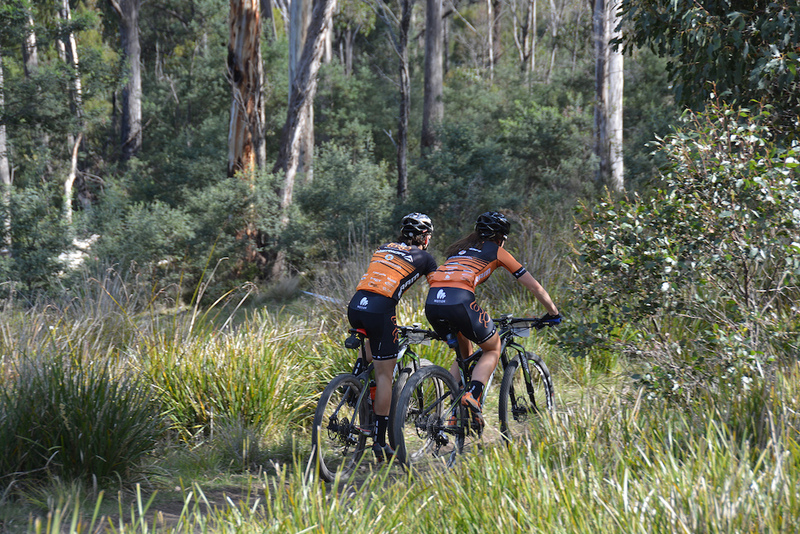 The lap included some of the trails ridden earlier and some others in another part of the property. Just over the bank there were perfectly groomed smooth trails that weaved tightly in amongst the trees. Eilte Mixed Pairs Holly Harris and Tristan Ward had the pace on day one. Taking out both Stage 1 and 2. 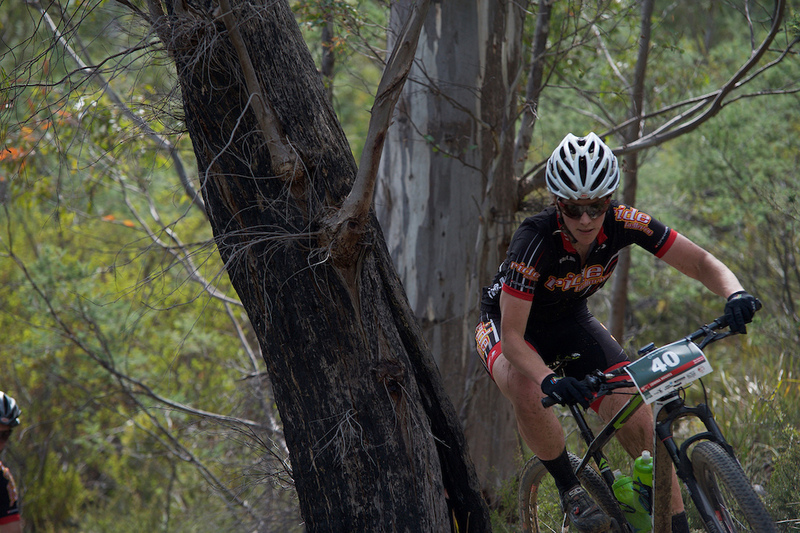 Kyle Ward showing that whilst he can throw down on the road, his strengths still lie in mountain biking. It's funny how standing in a bunch just makes people even more competitive, riders were turning themselves inside out to make it around the course, and the crowd waiting at the finish made it even more exciting. The results of stage 2 will make things even tighter for racing tomorrow with a few more faces throwing themselves into the mix. Ed Hughes bringing the local flavour in the Elite Mixed Pairs. 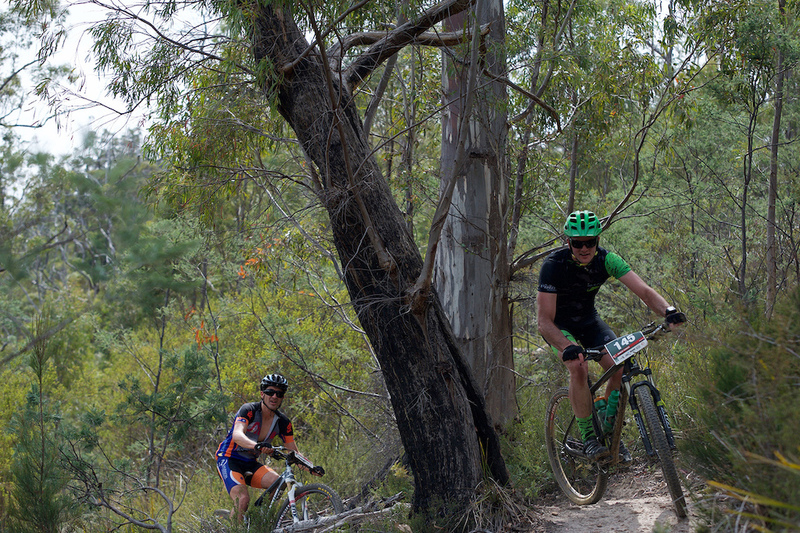 If day one was setting the theme for the rest of the racing it was going to the perfect combination of fun, vistas, tough climbs and sweet, sweet singletrack. With a gorgeous sunset to finish, beer in hand, it's off to bed and see what tomorrow brings. Sunset framing the trees, and all with a beer in hand.